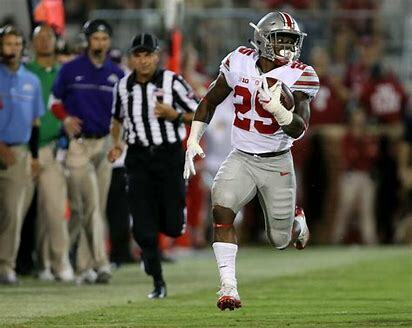 Ohio State has one of the most talented groups in the nation at the running back position. Tote Nation will return both starters from a season ago in a J.T. Barrett-less offense that will feature a new signal-caller at the helm. With that change, the offense will look different and the sheer excitement of a balanced offense would likely result in more touches for everyone, especially the running backs. Dobbins, the starter for the majority of last season will look to retain his spot at the top of the running back depth chart, but with the surprise return of his stablemate Weber, things could get interesting this spring. 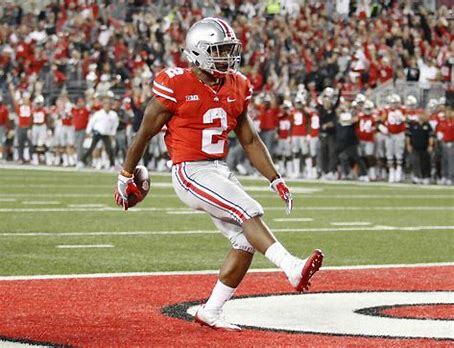 Dobbins was the workhorse for the Buckeyes en route to 1,403 yard and 7 touchdown season on the ground and had 22 catches for 135 yards and 1 touchdown receiving. 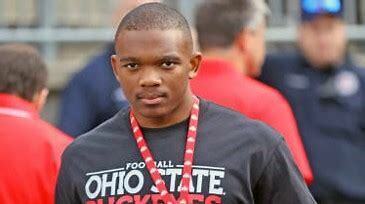 Barring an unexpected injury in the spring, I expect Dobbins to go out there this spring and win the top spot on the depth chart. He has a lot going for him from his vision in the backfield and his ability to separate from defenders after hitting the opening with a purpose. His running style is what separates him from the pack, but he definitely needs to improve in pass protection. He has the basic skills necessary, but he until he can block effectively like Zeke, the sky is the limit for this kid. Weber was in and out of the lineup for most of last season, but his presence on the field was felt by all who opposed him once he got on the field. He racked up 626 yards on the ground with 10 touchdowns and snagged 10 passes for 96 yards. He will try to beat out Dobbins for the starting role during the spring and try to hold off Williams and newcomer Master Teague. Weber can be a terror if unleashed, and if the offense leans more on their tandem at running back, the Buckeyes could be as dangerous as that Georgia backfield was a season ago. We won’t know until the season begins, but is fun to speculate about what the offense can or could look like in the near future, depending on whoever wins the quarterback job in the spring. Williams is a bit of a forgotten man behind two bonafide players, Dobbins and Weber, but he makes the best of his time behind the two co-starters. He earned 57 carries and ran for 290 yards and scored 3 times in limited minutes. Once again, he will sit behind the duo as he attempts to secure the #3 spot on the depth chart because of true freshman Master Teague was signed this past signing day, and the staff has high hopes for him. Regardless, this should be an entertaining battle to see develop, but iron sharpens iron and we will have to wait and see. Teague will be a workload and he is one heck of a player fresh out of high school. I don’t know if you watched his senior year highlights, but wow. He was on a different level and he will look toward his college years and develop into the player he and his coaches think he could be. There were a ton of Zeke comparisons floating around, but I am pretty sure that he wants to be himself and that he would like to develop into a well-rounded player in the future. Ohio State has a few talented walk-ons on their roster in Mitch Rossi, Amari McMahon, and Jeremiah Knight. The running back room is filled with talent, but the walk-ons at Ohio State, regardless of position always contribute to the team. All three players have the potential to be like C.J. Saunders and we will see where the competition takes them.